Daleys Fruit Tree has Plants for Sale to Yowrie and can Mail Order them to you door. Click to Find out how much Freight Will Cost. 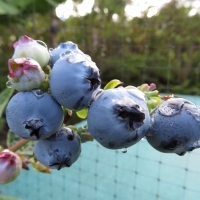 A northern high bush variety that is only suited to cooler areas as it has high chilling requirements.Fruit is very large and round, medium blue with red around stem end when ripe. 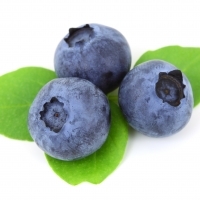 Great as fresh eating berry. Early season ripening over about 7 weeks.